James Earl Hollins began his life's journey on January 26, 1947 in the state of Mississippi to parents John Earl Hollins Sr. and Rachel M. Hollins. He was the second of 11 siblings. Both parents and four brothers, J.C, Ralph, Woodrow and Jethro Anderson preceded him in death. A Time To Grow James received his education in Vaughan, Mississippi at Linwood High School. While attending Linwood, James excelled in sports, especially baseball and basketball. James was the family's historian. He searched the family tree and discovered birth places, weddings, deaths, births, and knew everybody's birthday. A Time To Love On June 28, 1968, James married the Love of his life and this love lasted with Essie until God called her home on January 31, 2011. To this union 3 children were born, Michael Eric, and Tressie. James always encouraged his children to continue their education, aim high, and constantly strive to reach their goal. He constantly reminded them that with God all things are possible. A Time To Provide James was employed by McDonnell Douglas as a machinist and was a dedicated employee until retirement. After retirement James became self-employed and opened his first auto mechanic shop and named it "Big Jim's". James was known as everybody's mechanic, neighbor, friend, church member or even a complete stranger. "He loved working on cars". A Time To Serve James was baptized at an early age in the state of Mississippi at New Kingdom M.B. Church. After moving to St. Louis, he united with Mt. Gideon M.B. Church under the leadership of Rev. Tommie Ringo. James was crowned Deacon at Mt. Gideon under the leadership of Rev. Robert Huston. He served faithfully at Mt. Gideon but later decided to move his membership to Mt. Beulah M.B. Church under the leadership of Rev. E. G. Shields, Sr. He was placed on the Deacon Board at Mt. Beulah and served faithfully until God called him home. 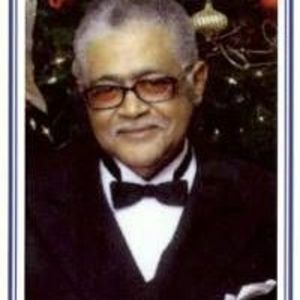 James was an active member of the brotherhood of Prince Hall Masonic Cable Tow Lodge #167 for many years. A Time to Mourn On Friday, March 9, 2012 James's spirit was called home to rest. James leaves behind his loving family: Gerald (LaTisha) of Jackson, MS, Michael of St. Louis, MO, Eric (Simone) of Kansas City, MO, Tressie of Manassas, VA; John E. Jr. (Betty) of Dayton, Ohio, Lue (Lenel) of Chicago, IL, Larry (Nadine) of California Josephine, Will (Donnita), Matthew, Clarence (Dianna) and Sarrah, all of St. Louis, MO; step-mother Rose Hollins of St. Louis, 9 grandchildren; 1 aunt, Ethel Higgins of Chicago, IL; 1 uncle Ernest Hollins of Michigan, a host of nieces, nephews, cousins, friends and the Mt. Beulah Deacon Board. Special cousins who loved him like a brother, Mary Alice, Pat, David and Jimmy Lewis. This Online Memorial has been created to commemorate the life of James Hollins. You are invited to add a Tribute in his memory. Please click "Sign Guestbook" below to add your own memories, reflections, thoughts or condolences.